Well well.. we might actually have like 2 minutes of fame, on AFC channel come this December 2013! 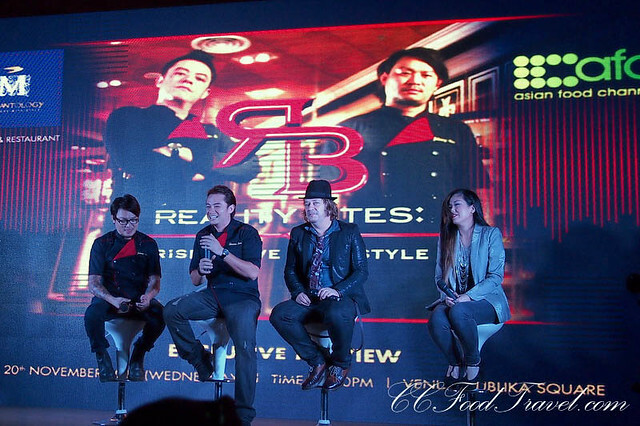 You see, the Asian Food Channel, Elegantology Gallery & Restaurant have embarked on their latest TV series – the reality TV show called “Reality Bites: Rise Above with Style” featuring celebrity chefs Johnny Fua and Sherson Lian. We might be featured in the blogger series episode no.3 if not mistaken, so look out for it! 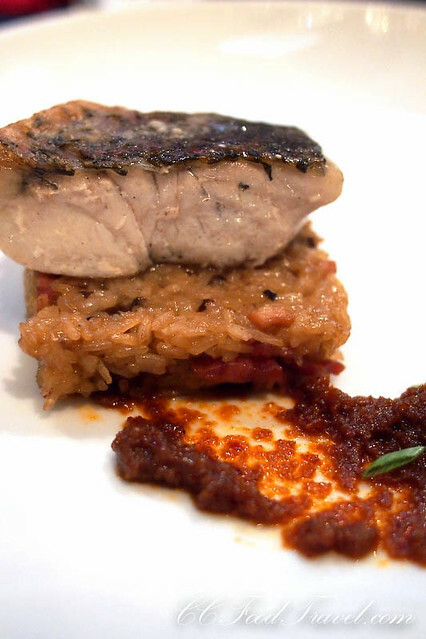 In this latest AFC production, peek into the lives and culinary personas of Malaysian chefs Sherson Lian and Johnny Fua, as they spearhead Kuala Lumpur’s latest creative hot spot, Elegantology Gallery & Restaurant. It’s not all glitz and glamor in the kitchen. 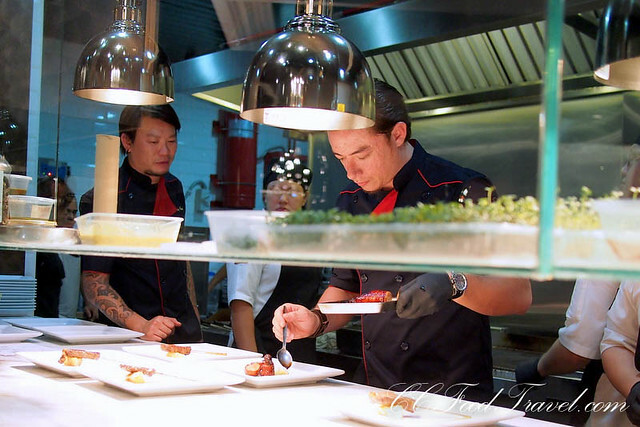 Not only do they face many day-to-day challenges, the two culinary maestros are also under high pressure to succeed. 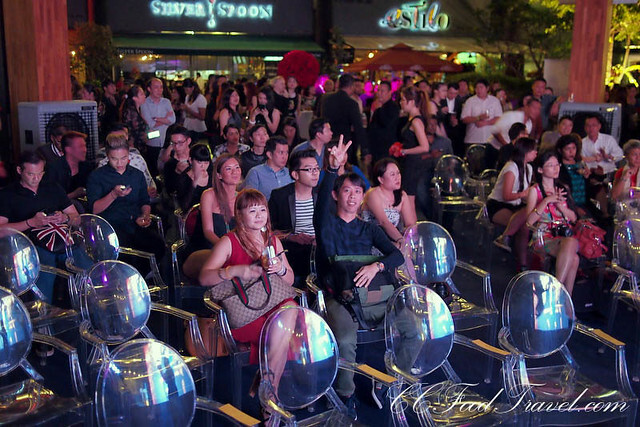 The world premier of Reality Bites: Rise Above with Style is on 10th of December at 9pm on Asian Food Channel. Watch this space for more info! Captive audience.. the preview was riveting! 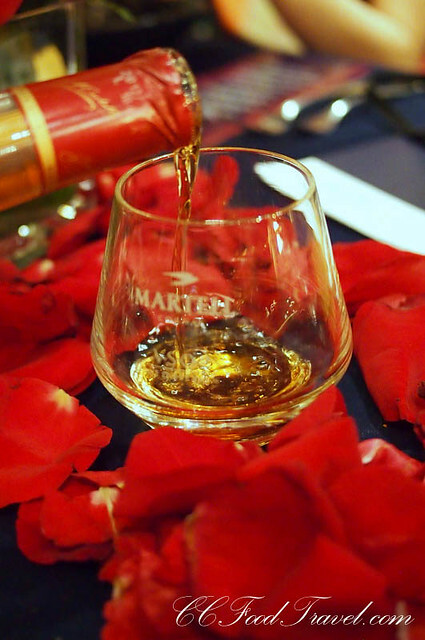 Happy to see so many familiar faces in the crowd too..
Martell on the rocks.. terrific cognac food pair if I ever saw one.. If anybody serves me scallop and done in ceviche style at the same go, and not screw it up too badly, I will definitely love them for life! And here, you see just how versatile the chefs are – the scallops were superb and obviously taste just as good cooked as they do raw. 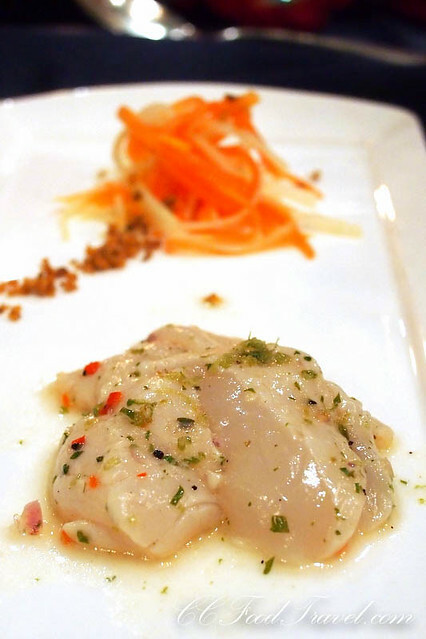 Because scallops are naturally sweet, they make a great marriage with lime, chillies and the nam pla sauce. Though it doesn’t look particularly pretty, this was a terrific starter. Wow, this was so strange I really had to eat it slowly. 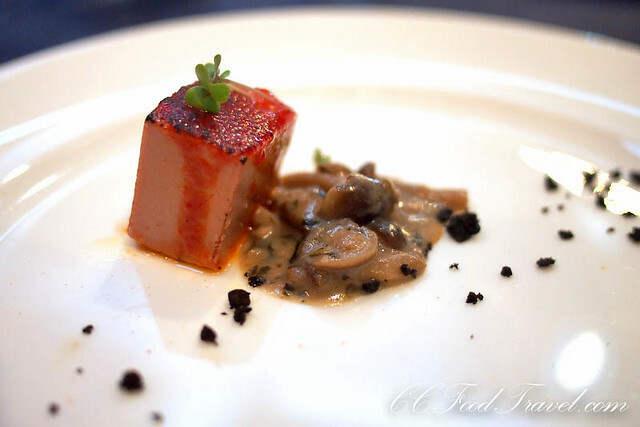 The foie gras cube at the end of the day, tasted like pate and had the texture of cold beancurd. 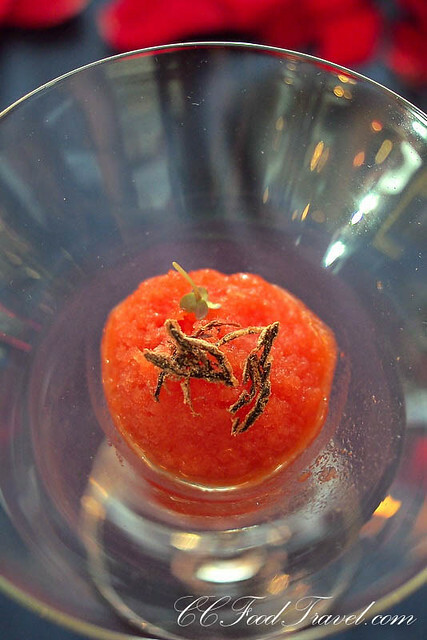 It was OK, but I’d prefer a massive chunk of nicely seared foie gras anytime! 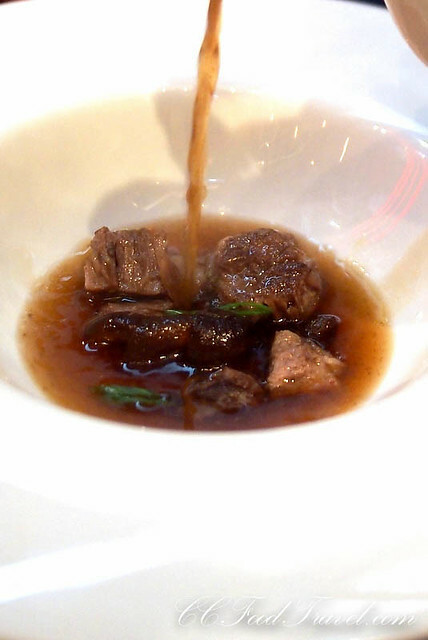 A lovely, savoury broth with all the cartilaginous parts to boot. Loved the sea-cucumber since it’s good for my skin too. live kitchen action.. it was like watching “Reality Bites” all over again! Best dish for the night, was the Kobe Beef of course. And since only Kobe beef that comes from Kobe, can be named as such, this was a pretty decent cut of fatty beef, to say the least. The last time I had Kobe, might have been in Kobe, Japan itself. 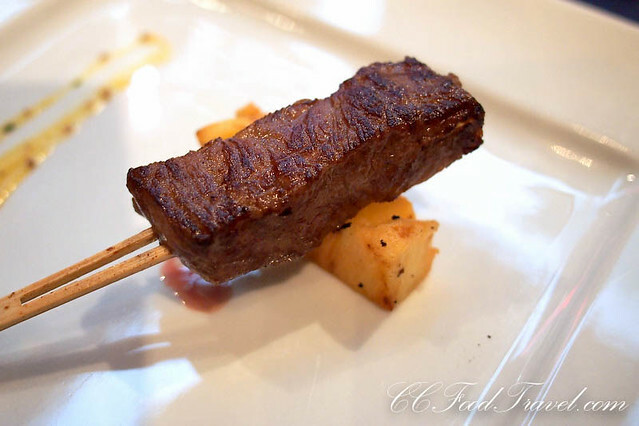 This beef skewer was too tiny! We actually had an extra portion at our table, which was nice. But divided by two, .. not much! Well, connoisseurs of super-fatty meat will definitely swoon at this exotic delicacy. The fish was delicious, but paled in comparison with the Kobe Beef. I could have eaten a truck load of that and still be asking for more! 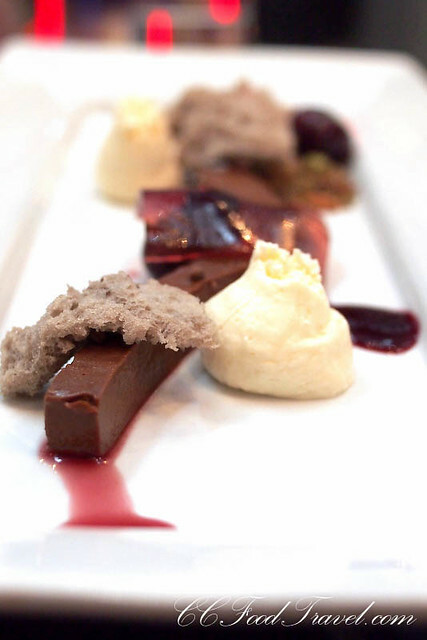 Finally, the deconstructed black forest cake. It wasn’t overly architectural, nor was it neat and precise, but it did look rather cool. It tasted like a lighten cake, while keeping the familiar elements. In the end, the dessert worked well, was artfully composed and a feast for the eyes, yet satisfying to the tastebuds, too. The chefs did well to pull off this one! It’s always nice to dine at Elegantology. Can’t fault the cooking! I wonder if they made it in-house though. I’ve seen a foie gras butter sized pate for RM 249 and always wanted to eat that! Seared foie gras ftw, I’ll rather have that too, but otherwise all looks great! Should be on TV… LOL !